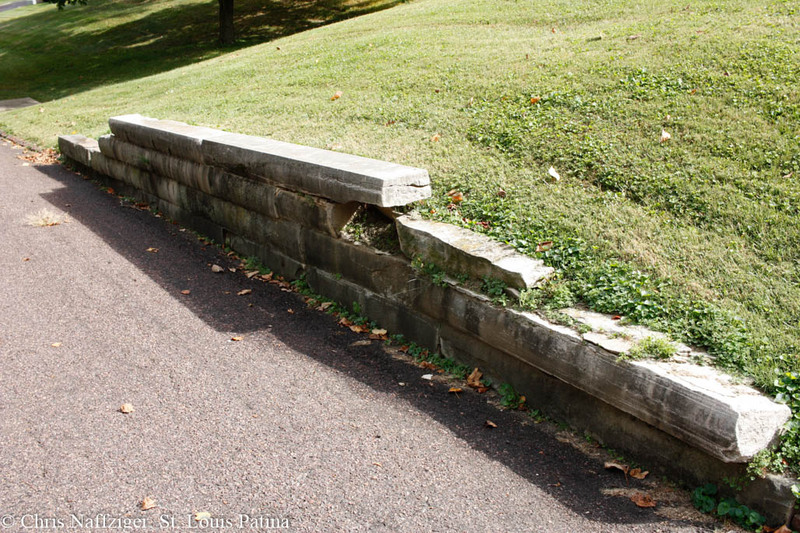 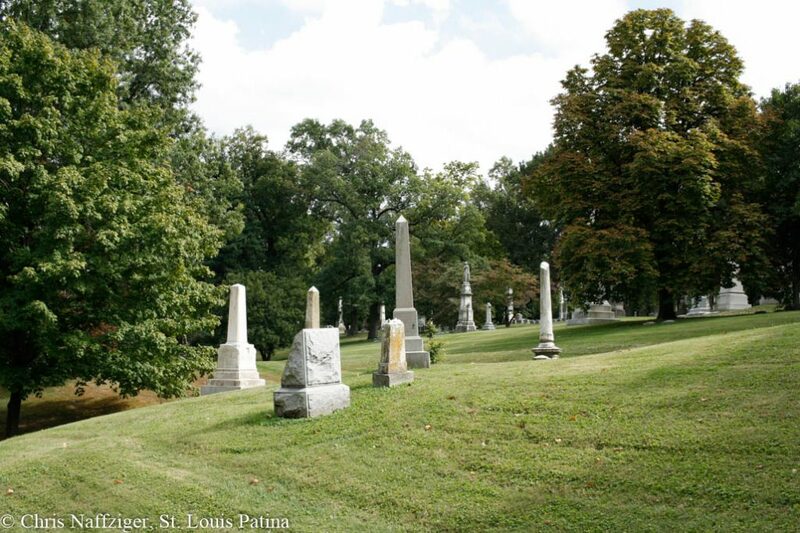 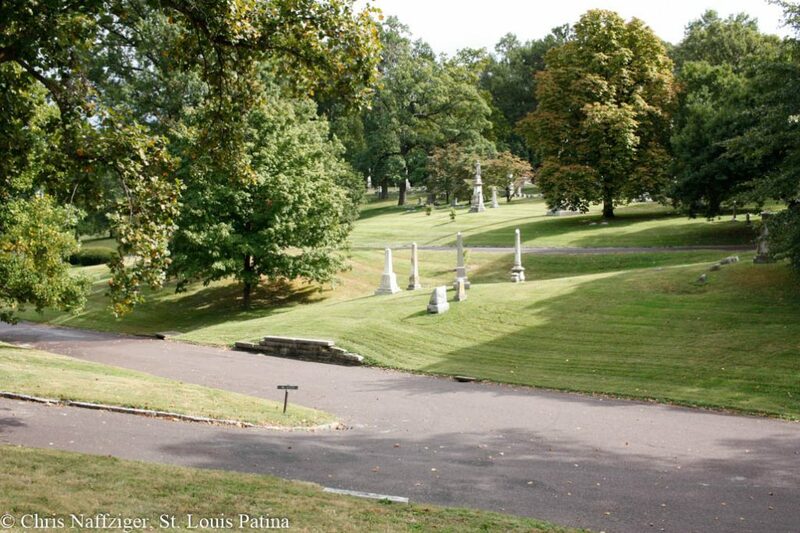 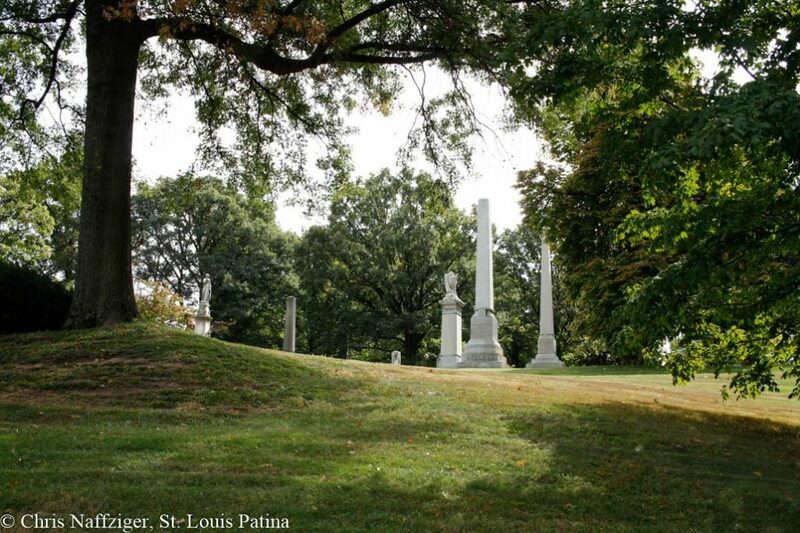 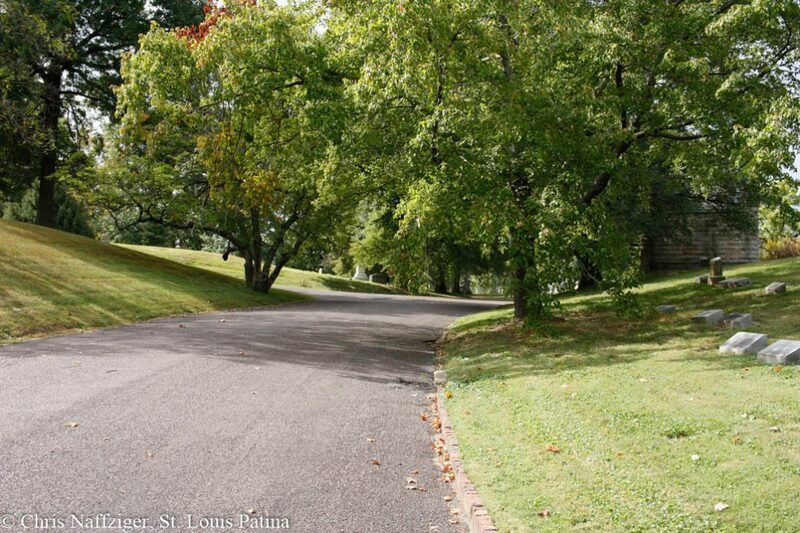 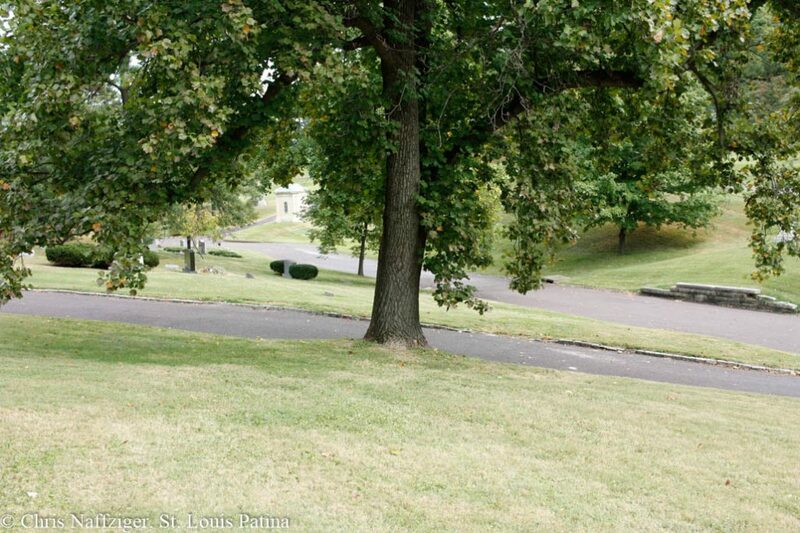 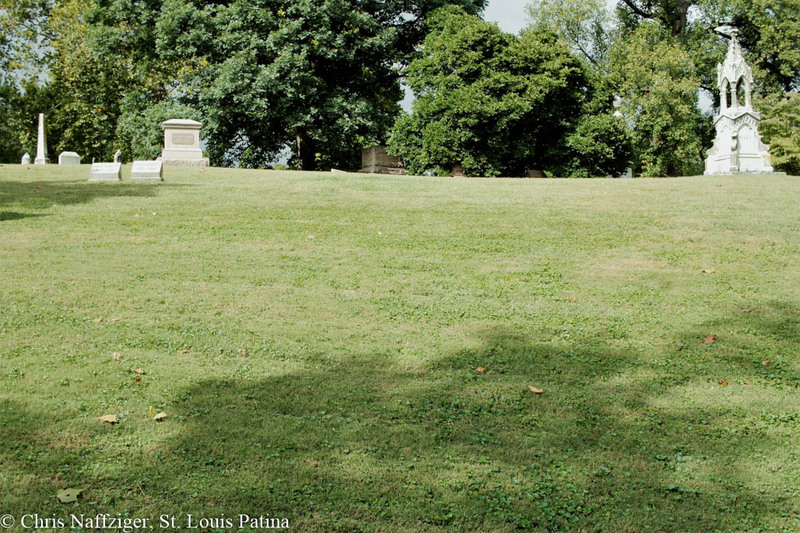 The original entrance off of Bellefontaine Road, now North Broadway, is a majestic, gently sloping valley that allowed horse-drawn carriages to reach the ridge line that forms the main road of Bellefontaine Cemetery. 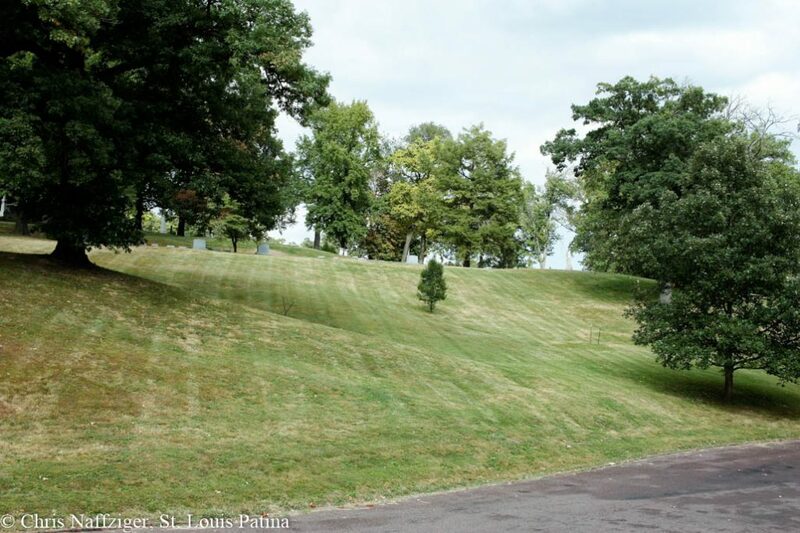 It rises up slowly, only cutting through the natural contours of the land in a couple of places; otherwise, the grass is carefully manicured along the rolling hills. 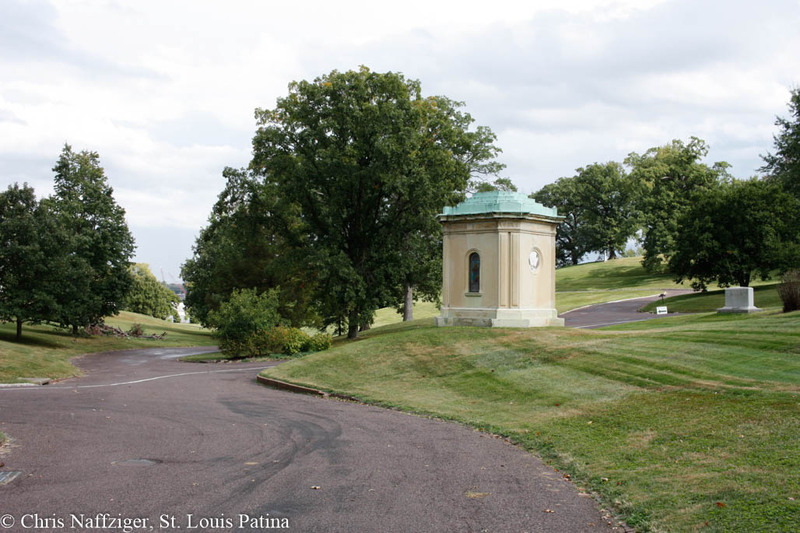 There is one prominent mausoleum, that of David Brock, which will be examined tomorrow. As the original plan had intended, the main road was not supposed to have many burials. 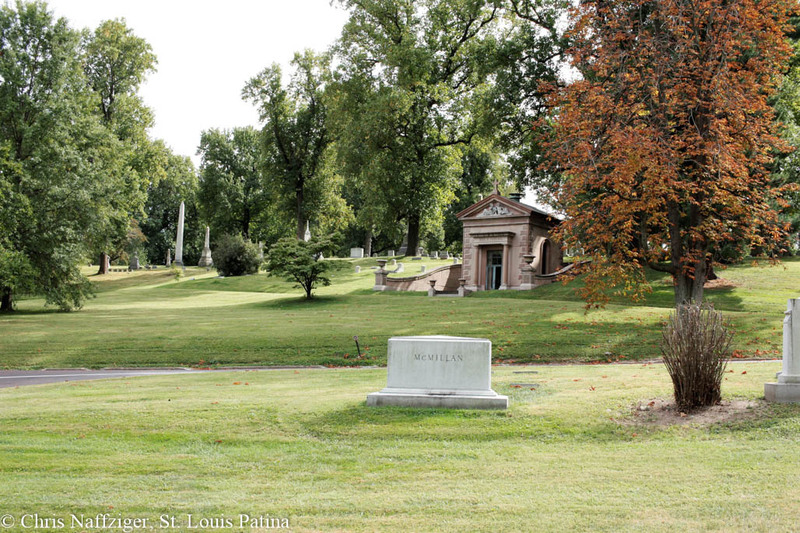 We will look at the Riggs plot in two days. 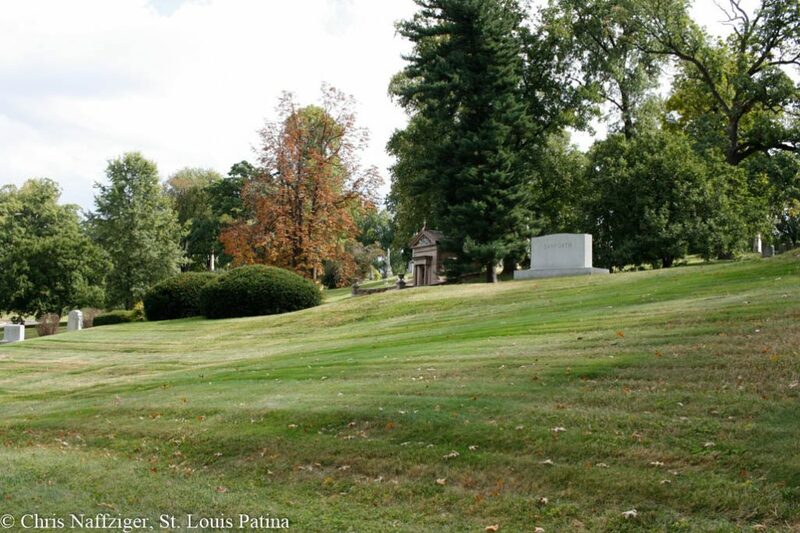 The George Taylor Mausoleum appears, reached by a grass road that follows the contour of the hill. 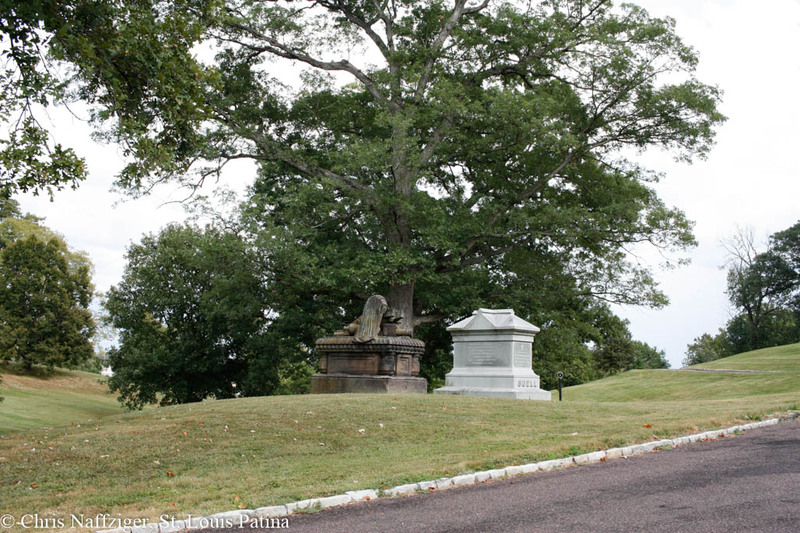 One of the oldest graves, that of Richard Barnes Mason, can also be seen. 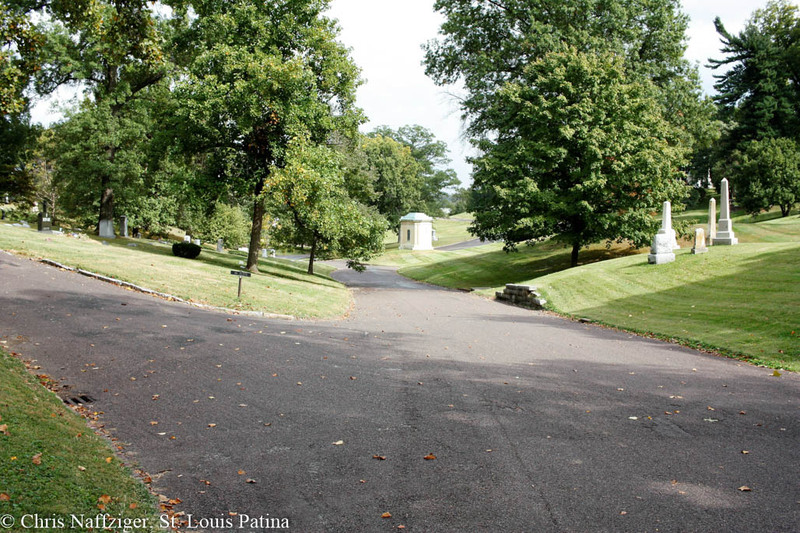 The road would take visitors up into the cemetery, where burials then were much more dense.